Heihachi’s mysterious wife finally makes her appearance. Kazumi has an extremely small moveset to work with to be effective. She is based around offensive pokes and likes to be up in the opponent’s face to chip them down with her strong hitconfirm mids. 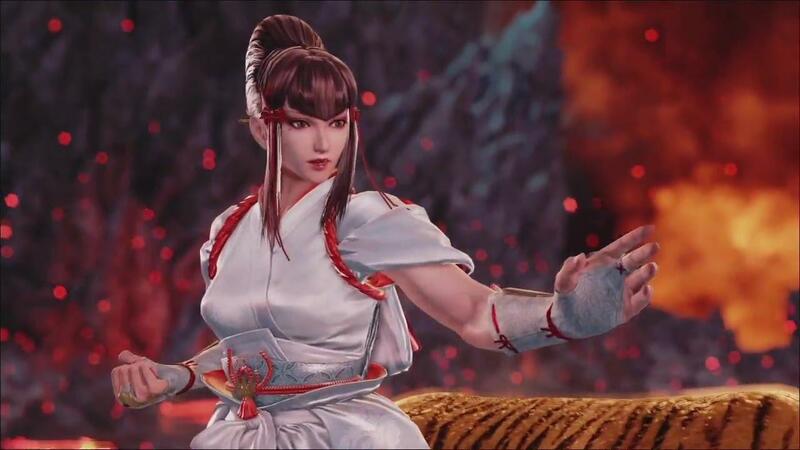 She has the Mishima 1,1,2 which is the best jab check hitconfirm in the game. She has good poke lows which leaves the opponent in her face at a significant disadvantage. She is a very "sticky” char as in she can loop her poke situation over and over until you challenge her. Kazumi has access to a projectile which causes chip damage on block, not very useful but it’s a novelty. She has access to one of the strongest i11 WS punisher in the game as it wallsplats to make her opponents wary about using poke lows on her. She has a decent approach with WR2 which is - on block but it has some pushback allowing Kazumi to use the space created freely and it knocks down on hit. She’s also one of the very few characters with a wallsplatting throw which complements her offense quite well with the opponent’s back to the wall. However since her lows are more centered around poking rather than hard hitting lows for more damaging mixups, she can struggle to steal the lifelead back from the opponent. Easy and damaging whiff punisher with DF2. Poor WS punishment beyond ws44. Bad range on hopkick, struggles to launch punish certain moves. Lacks hard hitting lows so can struggle to make a comeback. One of the lowest damage outputs. Short moveset and simple gameplan. Rushdown oriented poke heavy playstyles.